Do you frequently commute on the 401, Highway 7 or Highway 8? Now you can save time by moving into a conveniently located luxury rental apartment in the City of Kitchener. Drewlo Holdings has several options for anyone looking to be close to major transportation routes in the Kitchener and Waterloo area. Less than ten minutes to the 401 and about five minutes to Highway 7, Country Hill Estates is perfect for the frequent commuter. Beautifully landscaped and in a quiet residential area just off of Homer Watson Blvd, Country Hill Estates has a fitness room, indoor saltwater pool, hot tub, and sauna. Just down the street from Country Hill Estates this rental apartment is also conveniently located and units start at $1058 a month. This luxury, high-rise rental apartment building is located in Kitchener's growing south end. Very close to shopping and dining and easy access to Highways 7, 8 and the 401. Just next door to Wilson Place I, this building has free Wi-Fi throughout the common areas as well as underground parking. Located at 161 Fallowfield Drive, this building and all of its units are entirely smoke-free! 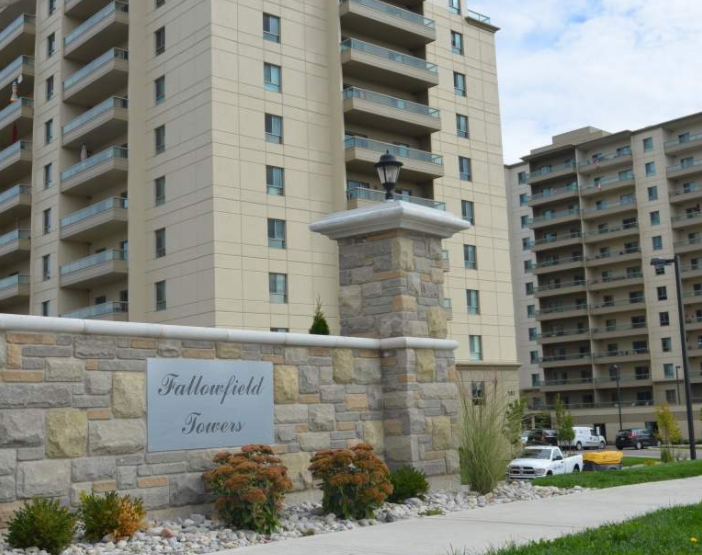 Next door to Fallowfield Towers, tower II features an indoor saltwater pool, hot tub and sauna. This brand new, luxury high rise building is now open. Units are open-concept and many have dens. 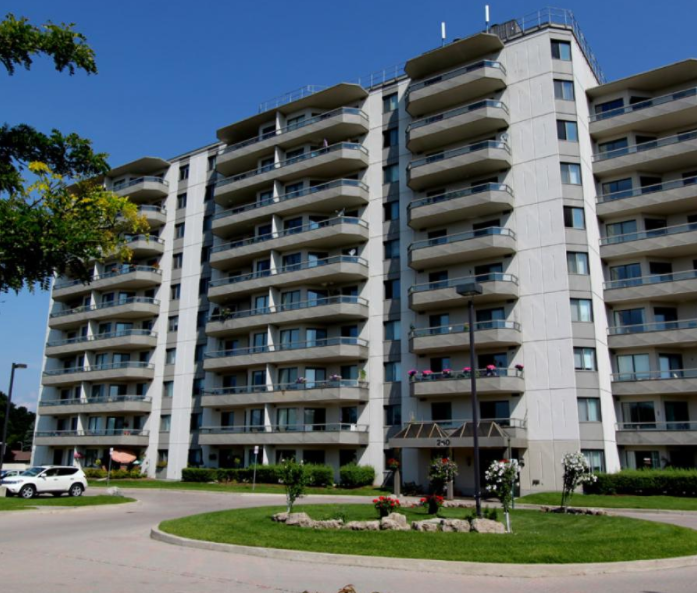 To see all available apartment rentals in Kitchener, click here.